Crime writer Elmore Leonard oh-so-deservedly won the National Book Award's lifetime achievement award yesterday. 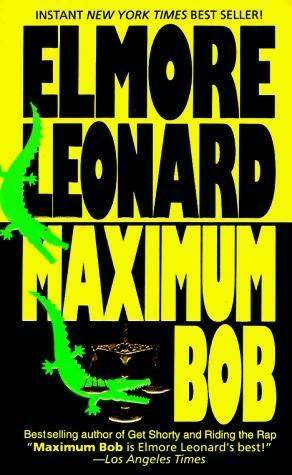 If you've never read one of the master's novels, pick up Get Shorty, Maximum Bob, or Killshot immediately and get cracking. The truth is, Leonard is one of those writers you don't have to be choosy about. I've never read a book by him that wasn't fantastic. Martin Amis introduced Leonard at the NBA ceremony and gave this description: "Whereas genre fiction relies on plot, mainstream fiction famously only has about 12 plots. . . . Mr. Leonard only has one plot: all his stories are retellings of Chaucer's Pardoner's Tale, in which death stalks the land, disguised as money."